With select accommodation for an exclusive clientele, the oak-planked paddocks of Curraghmore Farm are encompassed within hard-wood tree lines and woodlots on the mineral-rich limestone cap of the Niagara Escarpment. 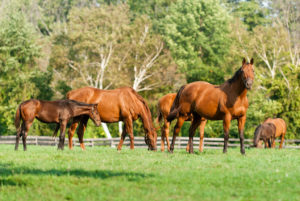 Restricted herd size ensures unquestioned quality management of both mare and foal. The old adage that “little things make a big difference” is taken to heart and attention is paid to every detail. Farm owners, Vera Simpson and Michael Dubé have vast experience, having assisted in over one thousand foalings. 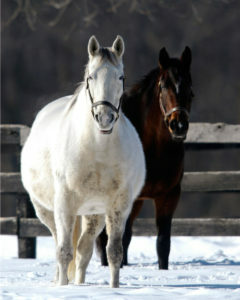 Vera and Michael’s home, is steps away from the foaling barn and they attend every foaling. Having a newborn foal arrive is thrilling, but our work only begins anew. Our reputation for reproductive success is directly linked to our long-standing veterinarian, Dr. Keith Colquhoun’s relentless passion and progressive techniques. Compared to other animals the horse is not particularly prolific, but efficient breeding programs and skillful management improve on nature. At Curraghmore, we are aware that nothing is more expensive than a barren mare. Curraghmore’s paramount focus is the thorough and complete care of both client-owned and farm-owned broodmares from mating through gestation to foaling, nursing and raising young stock. 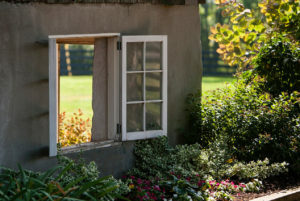 Due to the effort necessary to maintain our degree of excellence, the farm population is limited to a select few raised on over one hundred acres. Curraghmore provides unparalleled nutrition and access to unrestricted exercise: both fundamental in developing a superior musculoskeletal and cardiovascular system.